Rawsrvnt releases a new single from his Game Changer album due out October 9th. This high-energy anthem is designed to be an encouragement for anyone pressing toward their life goals - whether in the physical, spiritual, or mental arenas. The song challenges listeners to give 100% toward their effort (aka "go hard") and features Bay-area hit maker Transparent as a guest artist. Referring to the track, Eddy "Rawsrvnt" Puyol said, "I love making music that motivates people to realize they have the power in them to do really amazing things." "Go Hard" was also recently licensed and played on a CBS affiliate during the NFL's Miami Dolphins 2015 preseason opener versus the Chicago Bears. 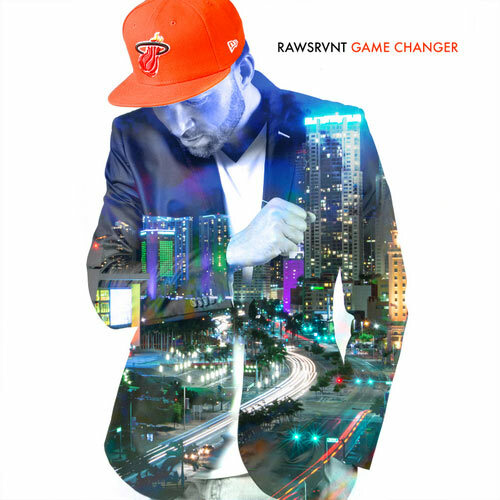 Pre-Order Rawsrvnt's Game Changer album exclusively on iTunes today.